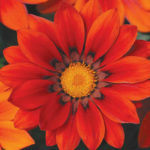 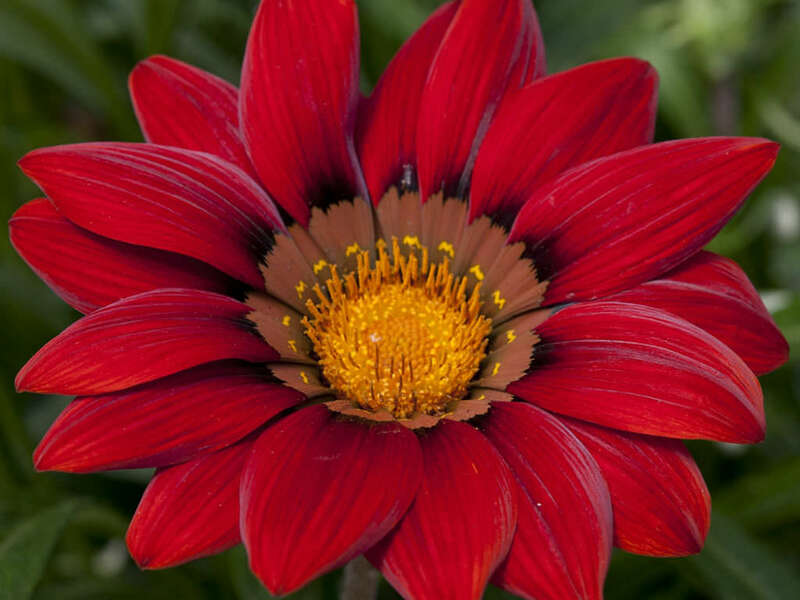 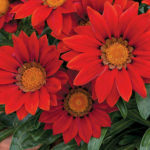 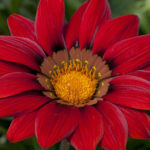 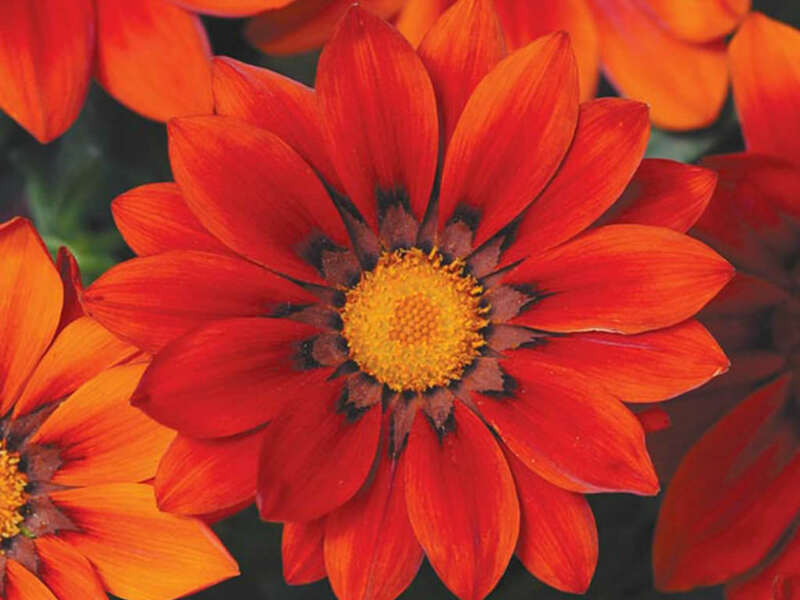 Gazania ‘Red Shades’ is an evergreen perennial up to 10 inches (25 cm) tall. 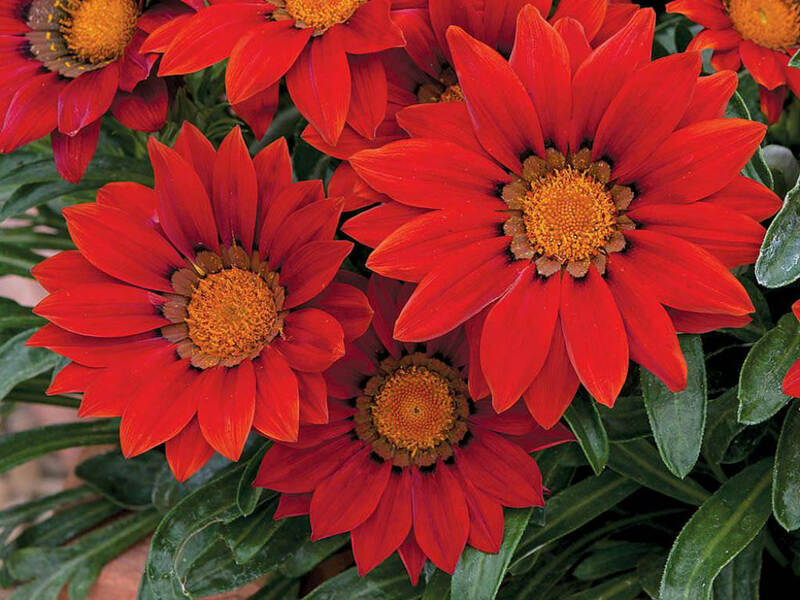 It produces stunning, ruby-red flowers for an impressive summer display. 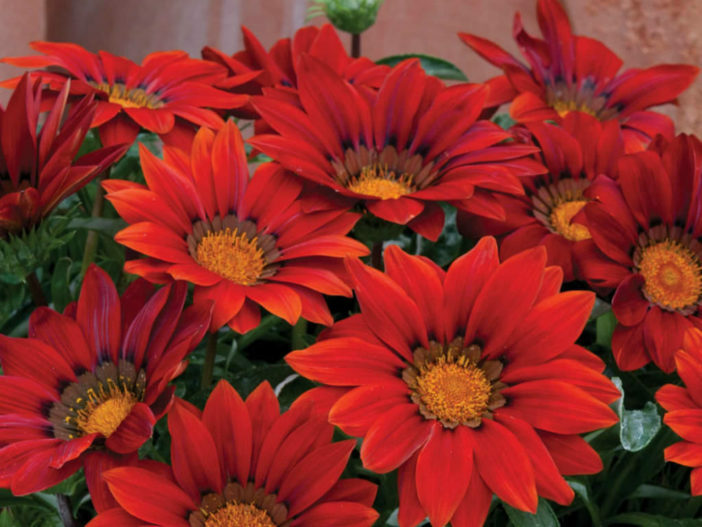 The vivid colors of this plant are perfect for container and border displays.